California is a motorcycle friendly state without question. With approximately 800,000 registered motorcycles, California holds the top spot in the nation. The reasons are obvious – a large population, year round riding, and 100 rated scenic bike routes with names like The Skyline, Twisted Road, Pacific Coast Cruise, Palomar Mountain Loop and Twisty Redwood Mile. The downside is that California is second in motorcycle crash fatalities behind Florida, which is a helmet optional state. The good news is the fact that California motorcycle fatalities declined sharply in 2017. Last year, 406 bikers lost their lives on state roads, a decrease of 28% from the 586 who were killed the previous year, which is much above the national average decline of only 5.6 percent. The California Highway Patrol (CHP) deserves at least partial credit for the decline in fatalities. Extra patrols by the CHP occur every spring and summer across the state. Both bikers and auto drivers are under scrutiny for speeding, tailgating, unsafe lane changes and improper turning, all common causes of motorcycle crashes. 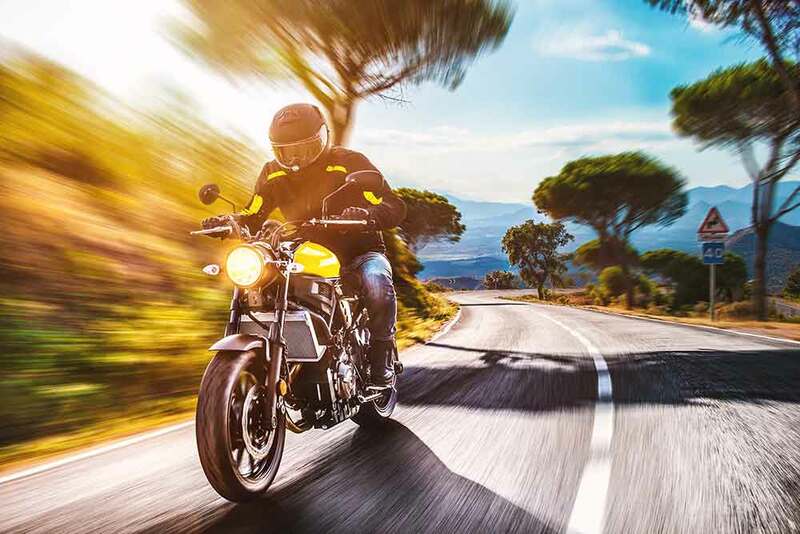 In addition to greater law enforcement, programs by the National Highway Safety Administration (NHTSA) and the motorcycle handbook by the California DMV have boosted awareness of the presence of motorcycles and promote safety. Motorcycle safety classes are also available through the California Motorcycle Safety Program. Bikers should not accept this decline in motorcycle fatalities as a future trend and become heedless. There are still safety worries. Marijuana use is admittedly higher by drivers with 12.6 percent of bikers on weekend nights testing positive for cannabis nationally. According to the Governors Highway Safety Association, this is a 48 percent increase since 2007. Drunken riders accounted for one in four motorcycle crash fatalities. Bikers over the age of 40 with naturally slowed reflexes now comprise the greatest share of motorcycle deaths. That is a sharp contrast to previous years when younger drivers were involved in more fatal crashes. The leading cause of all motorcycle crashes is speed and in most cases involves no other vehicle. In 2017 wet winter weather in the Bay Area kept a number of motorcycles parked in the garage, which contributed to a drop in fatalities. Fair and dry weather encourages an increase in motorcycles on the road all year and therefore more crashes. “Clearly we can’t and shouldn’t rely on bad weather to prevent motorcycle deaths,” said Tara Powell with the Traffic Injury Research Foundation. Some believe that the 2016 change in laws allowing lane splitting, helped to reduce motorcycle crashes. Governor Jerry Brown signed AB51 into law that defined lane splitting as “driving a motorcycle … that has two wheels in contact with the ground, between rows of stopped or moving vehicles in the same lane, including on both divided and undivided streets, roads and highways.” This gave the CHP the power to develop guidelines while it did not actually change state law, according to Sgt. Larry Starkey who runs the California Highway Patrol’s California Motorcycle Safety Program. After the law took effect on January 1, 2017, the CHP worked with the Department of Transportation, Department of Motor Vehicles, Office of Traffic Safety and Transportation and motorcycle safety organizations to create new guidelines, which were released in September 2018. Those in support of lane splitting, below 50 mph, believe that it reduces congestion and prevents motorcyclists from being injured in rear-end collisions. 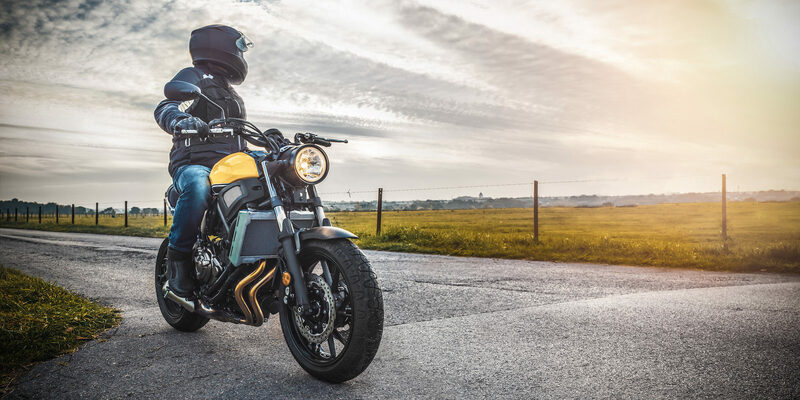 An estimated 80 percent of motorcyclists say they split lanes while 60 percent of drivers surveyed say they disapprove of lanes splitting. Safety advocates sum it up by saying everyone needs to pay attention. Vititoe Law Group advocates for the safety of motorcycle accident victims in California. If you or a loved one was injured in a motorcycle crash that you believe was the fault of another driver or an improperly maintained or constructed road or highway, please contact an experienced motorcycle accident attorney today for a free consultation. You may be entitled to a significant award.